It goes without saying that the best type of light for photography is natural light, but when this is not available or is too weak to provide a satisfactory image, we can turn to the use of a flash. When to use flash in natural light? The uses are many, but on sunny days it may surprise you that the use of flash will lighten those shadows cast on a face by a hat or a high sun angle etcetera. 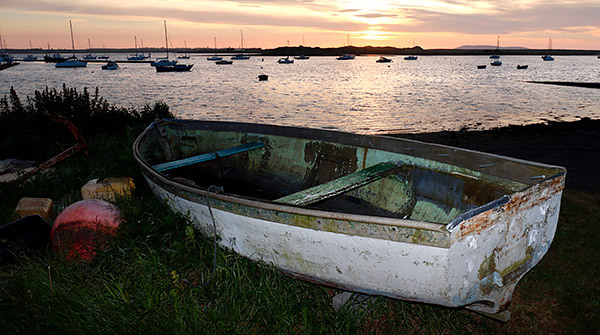 On our photography tours we’re often at the edge of a body of water as the sun is rising or setting, and the use of flash to illuminate foreground subjects such as boats and tree silhouettes is an effective and pleasing technique as illustrated by these images . 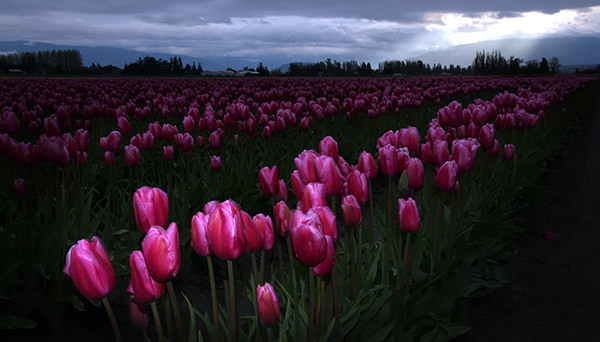 . .
Skagit Valley Tulip Festival, LaConner, Washington State. 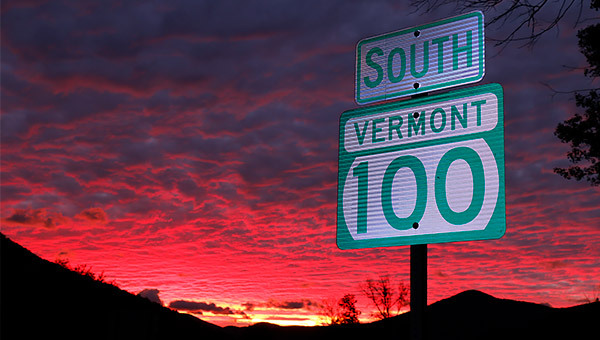 Erm, a sunset somewhere in Vermont!! 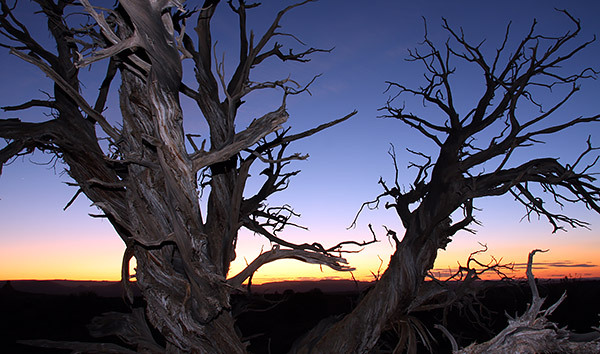 The use of direct fill-flash has illuminated the foreground sufficiently to reveal subject detail in both images, and neither is washed out, i.e. white or ‘bleached’. The amount of flash fill is subtle and sufficient. The problem with direct flash lighting in general is that its use tends to look ‘unnatural’ and flat. This can be overcome by using diffusion methods as studio photographers are apt to do with the use of white, translucent umbrellas. The light from a flash unit passes through a translucent umbrella, or can be bounced off, with both techniques providing a similar effect of soft light with no harsh shadows. This is lighting that is similar to that on a bright, but cloudy day. Ideal for portraiture, or in some situations, close-up work. However, the majority of camera owners have a flash unit built into their cameras, and it’s that direct flash that produces flat, harsh lighting which results in heavy shadows. So how can we overcome this issue? Frankly, for cameras with small built-in flash units little can be done other than to reduce the flash strength in the flash settings menu. The flash strength should be adjusted so that its use is not quite obvious . . . while maintaining its effectiveness. Some form of white, translucent material covering the flash window is a start, but the best results are obtained with diffusion methods set at least a few inches from the flash source as this aids diffusion. A stand-alone flash gun is most likely going to be your answer to the harshness of direct flash. There are flash guns that attach to the ‘hot-shoe’ on the top of the camera, while others are somewhat more professional in that they are attached by a bracket to the tripod hole in the bottom of your camera. With either style you’ll have options of bouncing the direction of the flash off a wall, a ceiling, or a white card and so on. 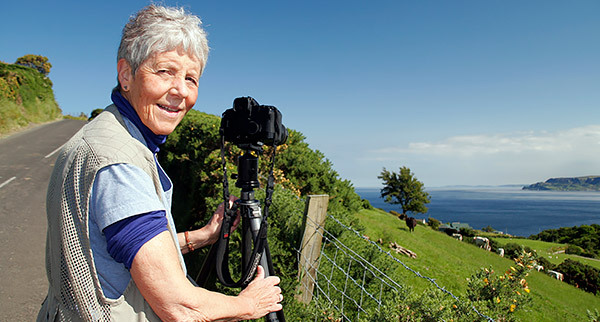 A client on of our Ireland photo tours. I mentioned earlier that flash is useful for lightening up faces that have shadows caused by a hat, or a high sun angle. For the above shot I used fill-flash to lighten the face of a client who otherwise had heavy shadows across her face caused by direct sunlight from directly above. 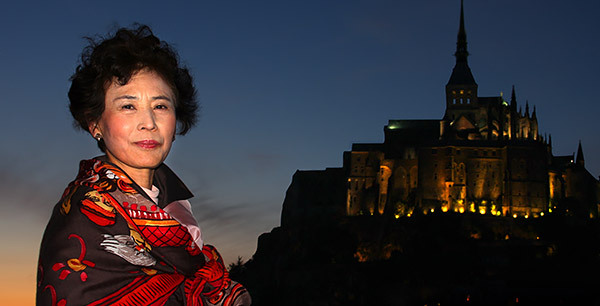 Then the same technique was used for a completely different situation whereby a lady at Mont San Michel in France wanted her picture taken in front of the iconic abbey at twilight. If I had taken a ‘normal’ shot she would have been silhouetted, so I turned on the in-camera flash to light up her face. In my opinion the result is pleasing. OK, so we should now be familiar with the use of fill-flash and the common situations that require its use. But what about moving subjects? . . . 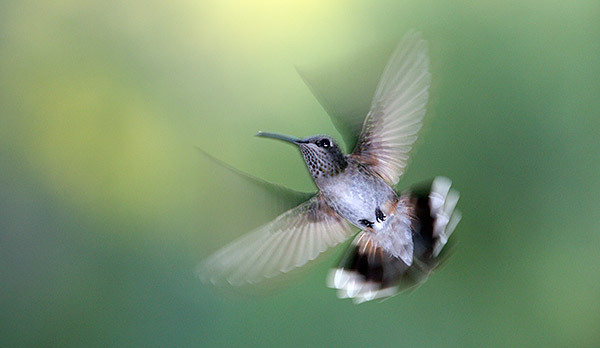 The image of a hummingbird is a mixture of fill-flash, a shutter speed of 1/250th of a second, and a panning technique which entails following your moving subject in the viewfinder. The result is a double blur, as in a sharp image which is the result of fill-flash, and the blur produced by a ‘slow’ shutter speed. 1/250th of a second is not exactly a slow shutter speed, but when comes to hummingbirds it most certainly is! Welsh guitarist in concert, Caernarfon, Wales. 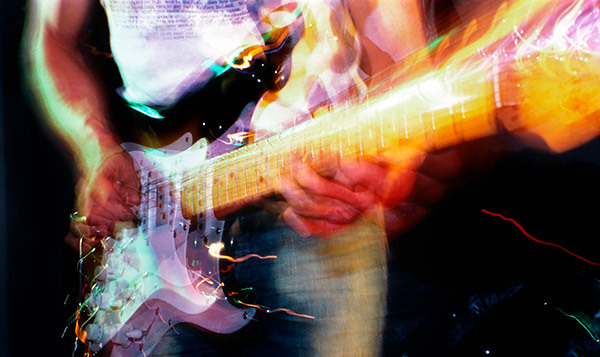 Lastly, this is an image of a Welsh guitarist during a concert was captured via a combination of a 1 second shutter exposure, and a multi-flash device which fired the flash three times during that one second exposure. Personally I like the shot, and a British photo magazine thought it worthy of inclusion too. However, this brings me to the last point I’d like to make, i.e. photography is not about pleasing other people with your images, although positive feedback is nice, it’s really about the images you shoot that please you!